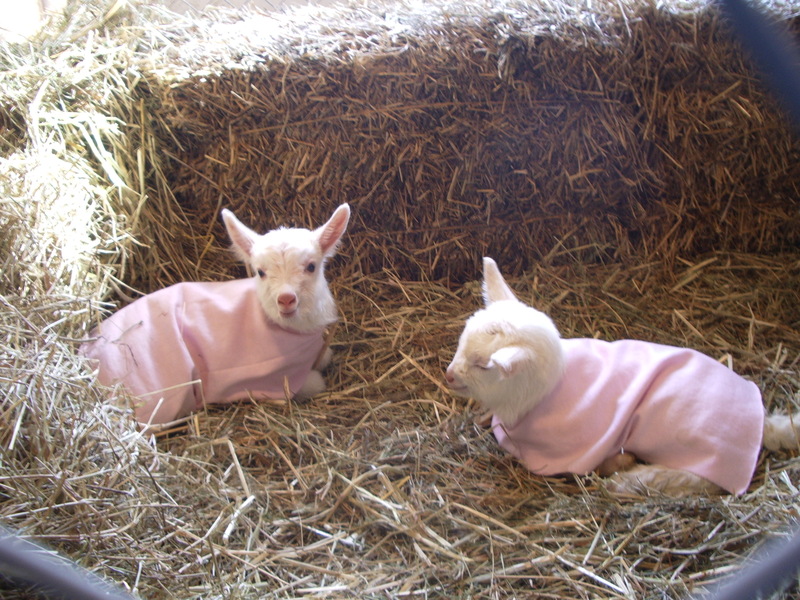 What is happening this spring on the farm. Well, the kids are growing up. We have kept all 5 of the doelings born this last spring. 4 Toggenburgs and 1 Saanen. They will soon be integrated with the older does. 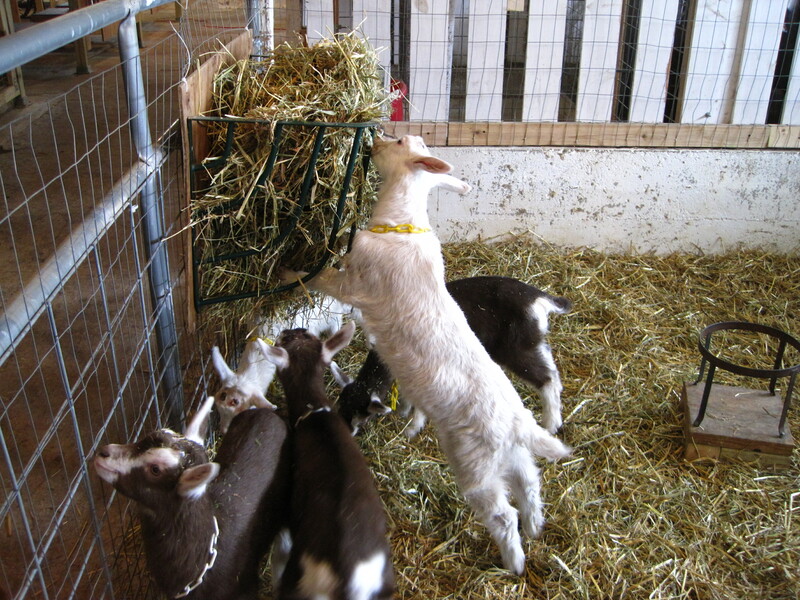 We have 1 new buck, a Saanen, actually one of the kids you see below. He grew up to be a great looking herd sire. His name is Swiss Frau Victor des Feldes (Victor of the Field). His sister is Holli des Feldes. The girls we kept are Vrenni, Holli, Beani, Bethi, Penni. 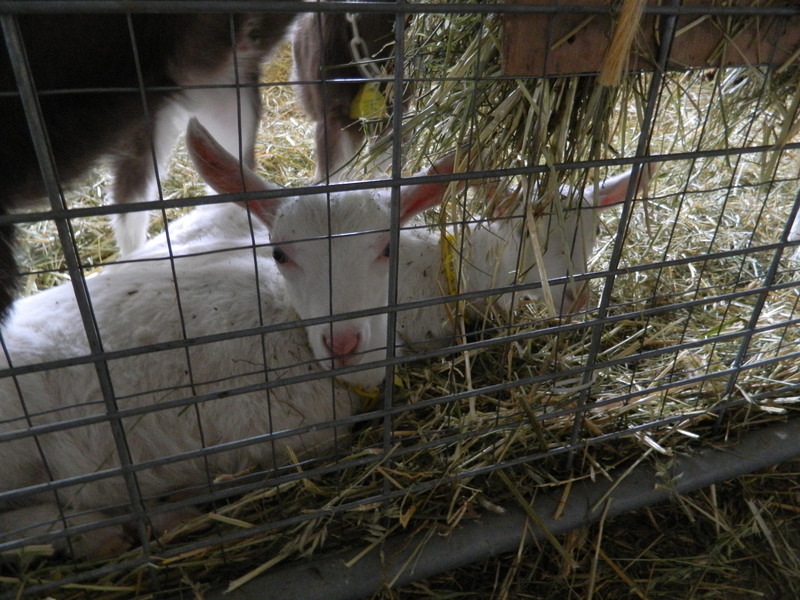 Several of our goats are going for pets, but the 5 doelings will be staying here to be milking goats. Here are a few of the doelings and bucklings from this year’s kidding season. Now all these pretty little kids are officially yearlings and will be bred in the fall. We are preparing for this kidding season which starts Feb. 25. There are stalls to prepare, equipment to gather, bottles to wash and the goat cam to get set up.We will keep you posted. Dan, for a farmer, you sure look an awful lot like a paint guy!